Production | PETROF, spol. s r.o. Up to 80% of production operations is carried out by hand. Without experienced master pianomakers, intoners and tuners PETROF pianos would scarcely be what they are - they could hardly have achieved such international renown, nor boast their characteristic romantic sound which is appreciated by music lovers the world over. Every instrument leaving the gates of our factory represents those who took part in its making. As the instrument makes its way through the production process, every craftsman in turn makes sure that he has devoted the greatest care to his task. 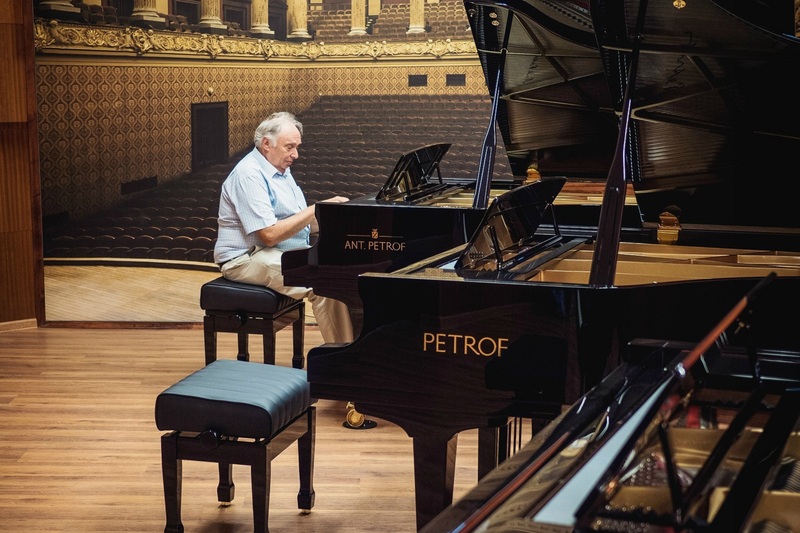 The result after 9 months is a masterpiece, whose birth certificate displays the names of all its makers, one that reflects more than 150 years of experience, love of music and the honourable trade of the Petrof family. Careful selection of materials precedes actual production. Specialists from PETROF and our long-standing suppliers travel all over Europe and personally select materials and components that meet our high standards. The most important is obviously high quality wood - especially spruce for the making of the sound board - the heart of PETROF grands and uprights. Wood and other materials make a fundamental contribution to the instrument’s appearance and the resultant tone, and so we take exceptional care in its selection. 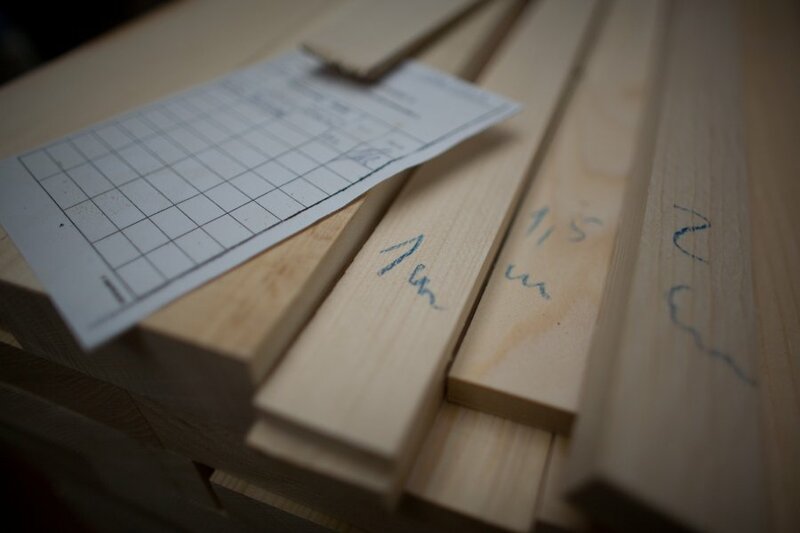 The construction of a piano begins from the outset in our own wood-processing plant. We gradually shape the raw wood into the components that after long months of careful manual work turn into a completely new piano. 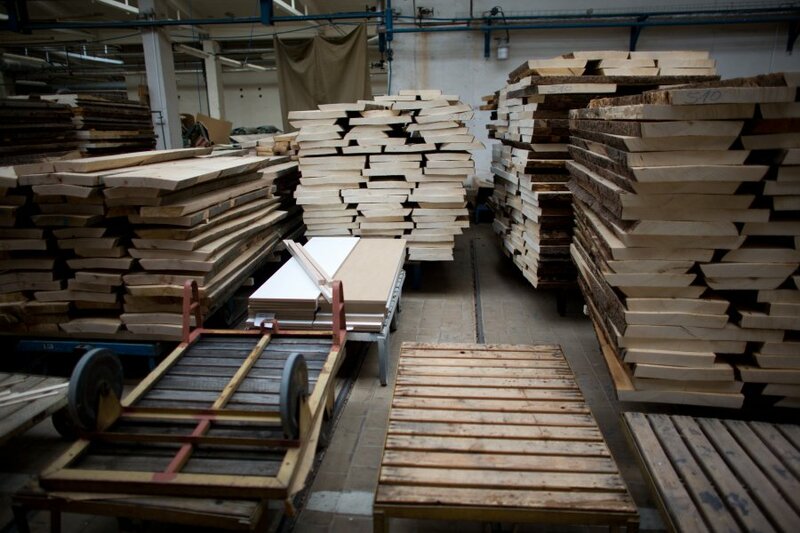 We use many different types of wood to make a piano, including resonant spruce, beech, birch, walnut, poplar, lime, maple, ebony, alder and others. The selection of specific types of wood for each part of the instrument is not arbitrary, but results from our many years’ experience. In our long decades of instrument making we have hardly changed the types of wood we use. Years of research and development have enabled us to determine which particular woods are most suitable for our purposes. 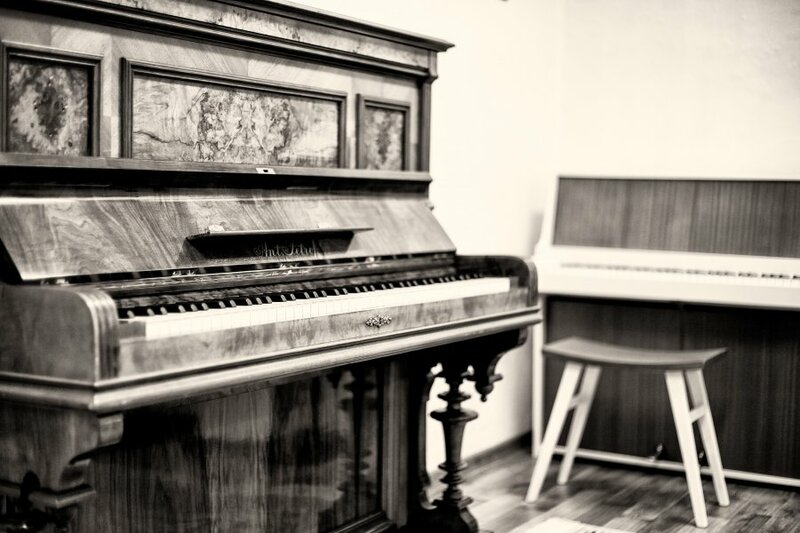 We respect the inheritance of our ancestors and the fundamentals of the pianomaker’s art, and to judge from the positive acclaim of our clients this is the right course. 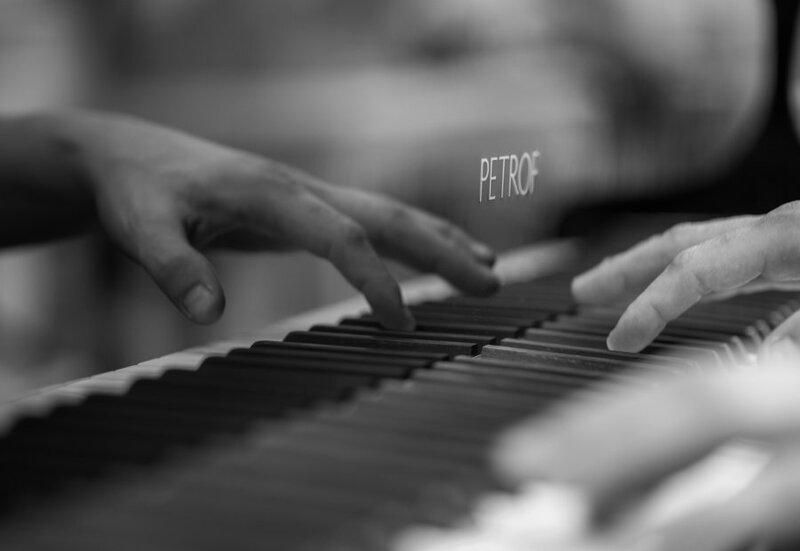 We at PETROF produce 70% of our parts and components ourselves. This means we have complete control over their quality. Thanks to this, in 2007 we were awarded the European Excellence Certificate which attests the European origin and the highest quality of production materials. Ever since, the EEX seal has appeared on all our instruments. Our workshops turn out sound boards, pinblocks, keyboards, strings, metal components and many other parts. Exceptionally. some ready-made parts are made by reputable European manufacturers, for example Renner hammers and actions. A certified supplier from the Czech Republic casts our iron frames to the required shape, which we then grind, drill and varnish into the finished article. We pride ouurselves on their modern design and above all their reliable construction, which together with the piano skeleton must withstand the tension in the strings, which this construction has to bear, can in a grand piano reach over 20 tonnes. An instrument that sounds splendid must also look beautiful. Human skill, experience and dexterity are irreplaceable in most production operations. Although it guarantees high quality of tone, there are, however, certain production processes where greater precision is required, and no advantage would be gained by hand work alone. In such cases we use top quality NC machines adjusted to the needs of PETROF’s masterly instruments. 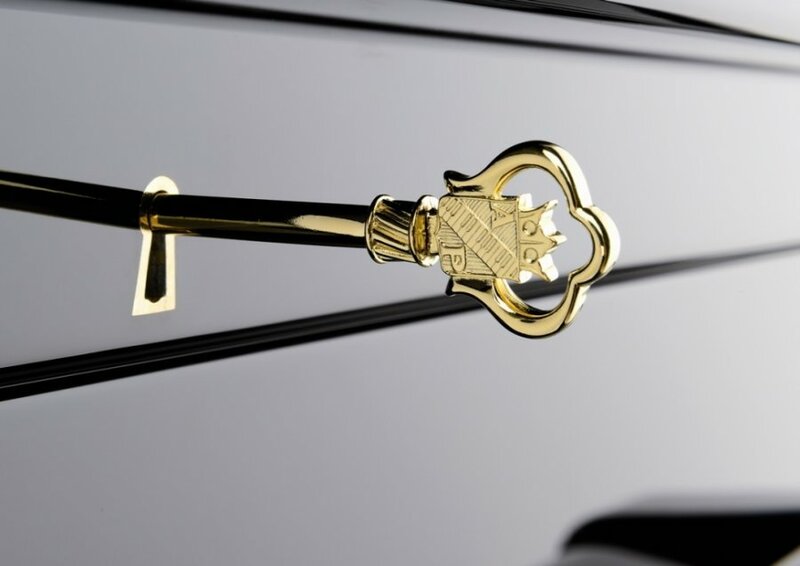 We pay special attention to piano’s surface finish. We work with a wide palette of different veneers: for satin finshes we use polyurethane varnishes, and where we wish to achieve a high gloss, we apply polyester varnishes. During the production process individual components and entire pianos undergo several kinds of quality control. The final, exit control is carried out just before the piano is wrapped and dispatched. We wrap the pianos in several layers of wrapping material to ensure that however long the journey may be to your homes or concert halls, they cannot be damaged mechanically or by damp in the environment. Our founder Antonín Petrof would no doubt be overjoyed if he knew how much of his pianomaking skill is passed on from generation to generation. In our factory in the heart of Europe, which to this day stands in Hradec Králové, work specialists of the highest rank who respect traditional work by hand and the characteristic tone colour of PETROF pianos as well as their splendid design. At PETROF we maintain that our upright and grand pianos should delight not just the ear, but also the eye. 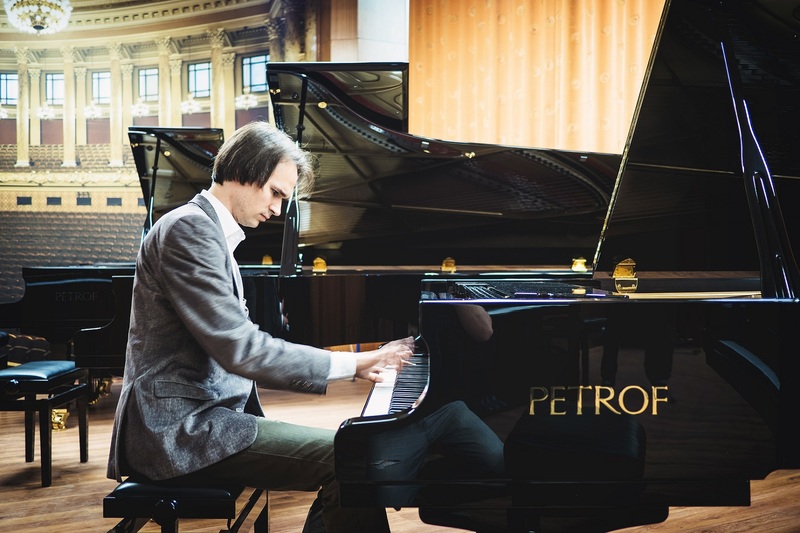 In the very beginning, the company founder Antonín Petrof himself incorporated his own ideas into the making of his grand and upright pianos. In the course of the firm’s further development there followed a time when our own Research and Development department adopted all kinds of changes and innovations. With devotion, humility, and respect we work on perfecting the experience of master pianomakers handed down from generation to generation. At the same time we work together with universitiies and research centres at home and abroad.